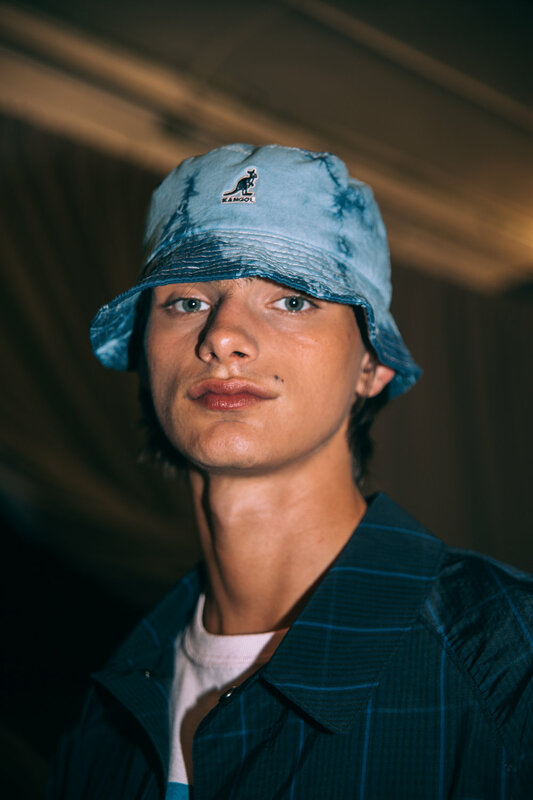 Todd Snyder ended New York Fashion Week Men's SS19 with a bang. Snyder was inspired by his grandfather's closet this season. I saw a lot of Hawaiian shirts, knit polo shirts and putting a modern twist to it. Tie dye print is also heavily used and one of the biggest trends this season. Sportswear pieces are also present on the runway featuring Todd's long time partnership with Champion and including his new collaboration with Kangol. Check out the photos below from backstage to runway taken by Kim Geronimo for Men's Fashion Post.